Racial injustices of the past catch up to the present in this exciting and suspenseful novel set in rural north Florida. In the late 1940s, four-year-old Katie becomes best friend and childhood playmate to Delia, the daughter of her father’s sharecropper. That closeness, however, is short-lived, for societal pressures soon force them apart, and at age sixteen, thoroughly indoctrinated into the strict rules of Southern segregation, Katie abandons her childhood friend when she is needed most. Decades later, a chance encounter with Delia throws Kate headlong into the past, and all that old guilt comes rushing back. 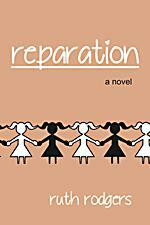 Nearly half a century later, will Kate finally be able to make reparation for her failure and earn Delia’s forgiveness? Copies may be ordered from the Florida Historical Society Press (www.myfloridahistory.org) for $19.95 plus tax and shipping. Print and Kindle editions are also available from www.amazon.com. For a personal signed copy ($23.50, including shipping and handling), please contact me by clicking on the link below.